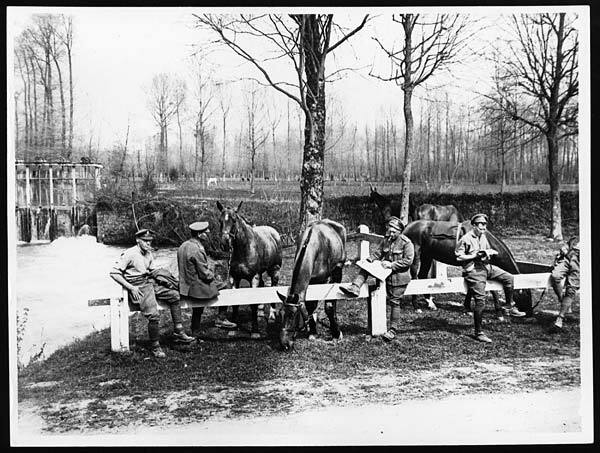 Photograph of the Western Front during the First World War. 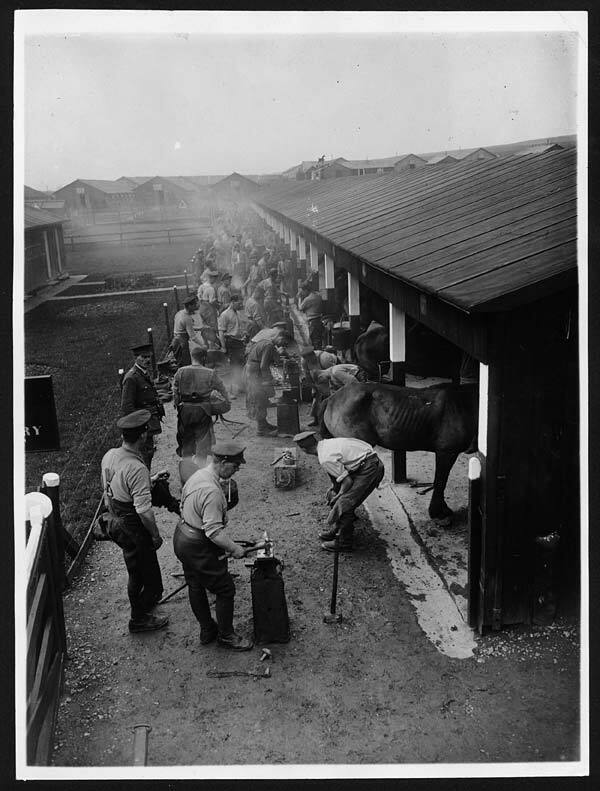 Official British war photographers took many for propaganda purposes. From the papers of Field Marshal (Earl) Haig (1861-1928). The Haig Papers also contain Douglas Haig’s diaries. It must have been hard to know what to say to your little sister in Africa when you were waiting to be sent into action during the First World War. Henry Dacres Wise, known as Harry, was a 23-year-old former Rhodes Scholar who served with the 18th Hussars in the First World War. In the summer of 1915 he sent the letter and score card below to his teenage sister, Christabel, in Rhodesia. I am writing this while sitting on the edge of a turnip field somewhere in France at about 8.30am. I am taking the horses out to exercise and always let them graze for an hour or so. Excuse the scrawl as it is so uncomfortable. I have just been reading your letters telling me about the very cold weather you have had. It must have been quite bitter. Here it has been showery and coldish for a month but the last day or two glorious & grilling. Now I am grilling and love it. We played a cricket match yest. 18th Hussars v. H. Battery, Royal Horse Artillery and got beaten by 2 wickets. Great fun. I enclose our score sheet as I thought it might amuse you. I was capt. of 18th! We went in and made 15 (rotten) then they made 25 then we made 95 then they made 86 for 9. Quite exciting. Very fast bowling & on awful pitch. Fearfully dangerous!! We are playing polo every afternoon while in billets. We get 10 days down here then 10 days up digging which is more than exciting just now. I go up either next Sat. or Wed. I hope all being well to get away on three days leave to England about Sept. 23rd. I heard from L. yest. He is very fit and hopes to get leave about same time. Has just done 10 days in trenches but they were he says luckily very quiet. All your dogs sound great fun. I miss a dog out here and wish I could get Jean. I went down to the sea last week and had a glorious bathe! Can’t tell you how I enjoyed it. Reminded me of this time last year (nearly) at Thurlestone except there are no rocks on the coast near here. All sand dunes. I wish we were all at Thurlestone again. Well I must stop now and get on my horse and take the horses in. We get in at 9.30. Then groom from 10.30 to 12.30 then feed. Then lunch & polo at 3 o’clock. Quite slack! Harry Wise served in and survived both World Wars. He was awarded his Rhodes Scholarship in 1910. Cecil John Rhodes died in 1902 aged 48. In his will he laid out the conditions for the awarding of the Rhodes Scholarships. He planned the scholarships to enable young Americans and other British colonials to go to university in England, most to Oxford. He also intended that “no student should either be qualified or disqualified on account of his race or religious opinions” (pg 379). 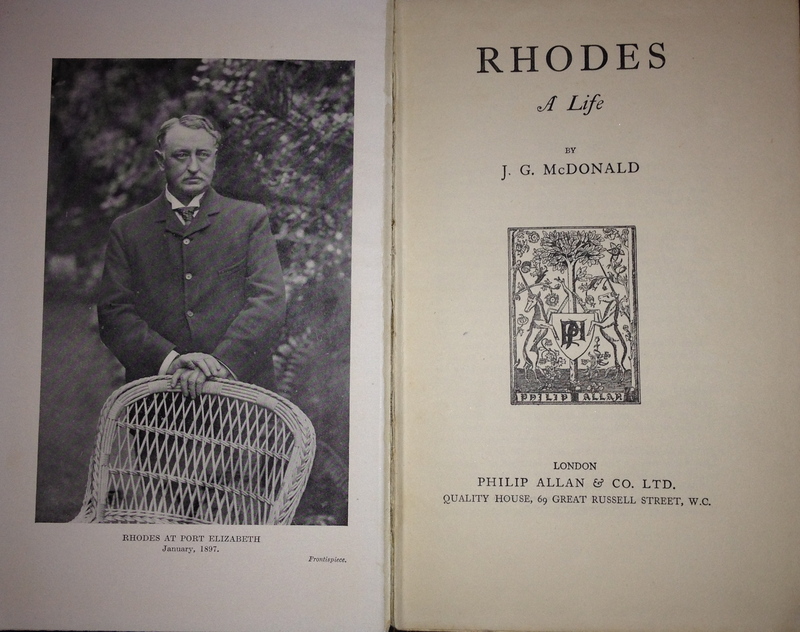 (J G McDonald was both an employee and friend of Cecil Rhodes for the twelve years prior to Rhodes’ death). I do not know whether Harry Wise knew Cecil Rhodes but I do know that Harry, as well as working in the brewing industry until the age of 80, devoted much of his life to public service – first in the Army for both the First and Second World Wars; then as a special constable (he received a long service medal); and finally as a parish councillor – he was on his way back from a council meeting when he died suddenly, aged 87. My thanks to Larney Wise for supplying me with information on his family and their part in the First World War. This entry was posted in First World War, The UK, Zimbabwe and tagged Cecil John Rhodes, Christabel Wise, cricket, First World War, Henry Dacres Wise, polo, Rhodes Scholar. Bookmark the permalink.